Eleroo huddled beneath the trees. Evolution had cured many of his ailments, and while his short fur was no longer as patchy it was by no means warm. In fact, it felt as though the thin purple hairs were shorter than before, and the chill of the outside had quickly seeped into his skin. I can't remember anything out here. He thought whimsically, forcing himself to laugh a little. The situation earlier was too frightening to really recall any geographical structures, yet somehow Seek did, like always, making her superior. I wonder if she's lying. Would she, in this situation? The Radeon didn't know if she was or not, but would she really benefit from a lie right now? "Would any of your companions have sleep inducing moves?" Uxie asked, drawing the poison type out of his daze. He looked up at the Legend as a cold drop of water splashed against his nose. He flinched instantly, and could barely process the question. Sleeping abilities? Why would they need those? "Preferably not of the powder varieties with the current weather." Shaking water from his fur, and cringing after he did so from the rudeness, the kit kept his shameful head low to the ground as he asked his follow up question. "What for? A-are we trying to take a hostage..?" He didn't take the legend as the hostage type, but while that idea generally didn't sit well with him it also seemed really out of place for what they were doing. A missing companion would drive them crazy. And we'd be the first suspect. Seek was staring pointedly through the treeline at the exact spot she thought the Center was. Both trees and buildings blocked her view, but that was for the better. The trees would hide them most the way, and as the structure of the city curved around they could run along the backs of the buildings. Or stay in the trees, either or, didn't matter. However, as she glanced up through the branches, the Aiveon worried about their time limit. Not Felix's, no, but time before the sun disappeared. It was already getting late, and the thick grey clouds had blocked out most of the light. If they got stuck outside once the light vanished, they were as good as dead. A shudder ran down her spine at that thought. There was no way she would die for this. "No hostages," she barked firmly, looking over her shoulder at the huddled Radeon. "We're here for medicine, that means we need to be stealthy." If they were trying to work out some sort of negotiation with a hostage, Uxie should have brought that up beforehand. Would that even work? They could probably get more than just this Lum juice stuff out of it-- No! Clenching her teeth the Aiveon started to pad forward. It was too late to think about that now. They had to move, and with so little light left dragging a hostage back was not what she should be worrying about. Shenron took a deep sharp breath at what Asura said. How on Arceus's good Earth had something like that eluded his thoughts? They knew they were here and should the need arise they would come. There was no way for them to know of the group going into town. Unless by some manner of serendipity ran into them on the way in. Those chances were astronomical however. "Yes. Go off to war defending a village only to return to it's smoldering ashes... Perhaps a plan of escape would be good. Just in case" Of course he didn't doubt their abilities but strength could easily be run down by numbers. And he could vaguely recall the Floatzel saying "our town" implying it wasn't just his. Too many water types could easily overwhelm him for sure. If it came to that he would hope Asura would make the proper choice to take the kit and flee. Defend the weak, protect the young. That was all he had ever been in life. "I do know that Veilstone would be a poor choice to escape to. It is a city where many humans once congregated... The undead would recall this vaguely I'm sure and hide in it's shadowy alleys... There aren't many immediate areas to retreat to around here that would be safe it seems..."
The Legend seemed to let himself fall back towards R'hia as they made their way. "No, we're almost entirely combat-centric in terms of our moves, after we lost one of our friends." Should the opportunity arise, only a new team member or a TM would add some extra diversity to their moves... But hey, they could all handle one hell of a combat range. 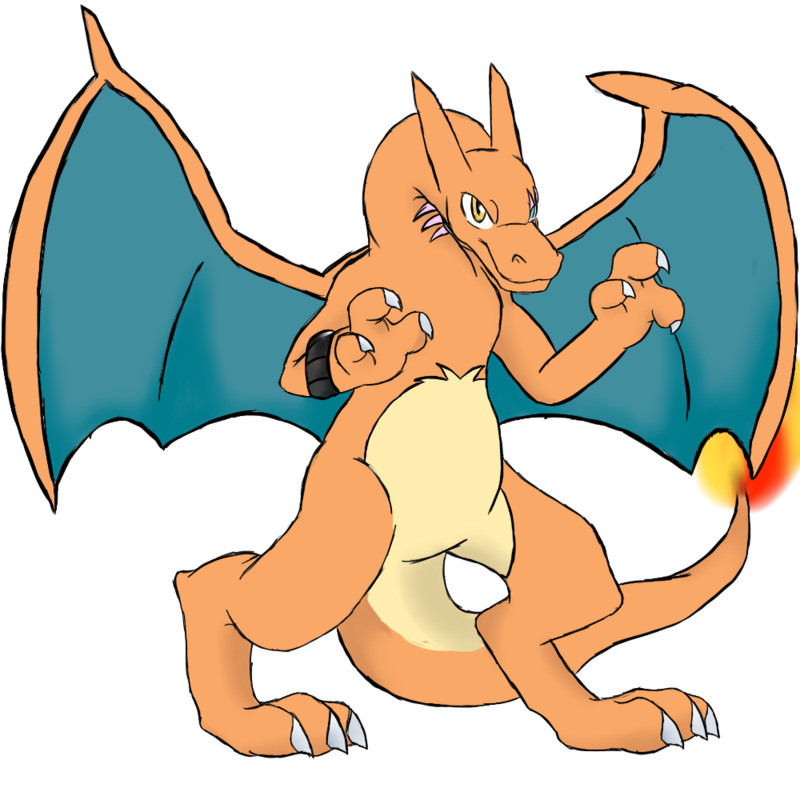 "Best we could do is try and do a stealthy Thunder Punch, but it's on Quelaag- and he's a Charizard. I'm sure you see the problems with this." Both of the Eeveelutions seemed to garner this idea of hostages, though neither seemed to entertain the idea. Seek in particular threw a firm denial of the idea back, though this time R'hia couldn't blame her. "You're right, no hostages. I think the idea is to just incapacitate anyone we need to, peacefully and quietly at that, to give ourselves enough time to get this done and get out." At least, that's where R'hia was going with it. At this point all three were merely assuming the intent of Uxie's inquiry. She kept her pace, trying to keep en eye behind them now and then- Last thing they need is to get caught up in an enemy sandwich. "Hopefully there's a rear or side door we can slip into, if nothing else." Asura nodded to Shenron's comparison, sighing as he let himself slump a bit- shoulders falling, forcing himself to lose the tension he typically carries. "Indeed. As for escaping, we must choose carefully. I would take our ally, you would need to focus on your fire, no?" He looked over to Felix, knowing that moving him is a risk in itself, let alone doing so roughly. "I only see two options. We would have to move deeper into the city, and find unoccupied buildings. But we'd risk running into more living, maybe even infected they have chosen not to deal with. We can also return to the marsh, use the trees as cover. If luck is ours, they'll let us be if we leave, or at least if they believe we do." Unfortunately, safety with a retreat was seeming truly impossible, so perhaps the priority should be to reconvene with the others? he groaned under his breath; as always, things were more complicated than simply defeating an opponent. "If you've any ideas, we may as well use our time to rest and think with one another." "No, we're almost entirely combat-centric in terms of our moves, after we lost one of our friends." "Most unfortunate." Their chances of a perfect execution without detection were declining, though they had never risen to begin with. The legend grew very still in his hover as he listened to the human's continued explanation and the pair of eeveelution's hostage tangent. "Do not fear; there won't be any hostages. But the advantage of a status move on this sort of mission would have been formidable." He had no doubt the building would be guarded, and while he could teleport them past said guard there was no telling if there were any in on the inside. It would be a fruitless endeavor and a waste of energy to simply appear in front of those they were avoiding. R'hia dismissed their hostage worry, and while the legend did not care to settle their nerves he did agree. "Indeed. Taking hostages would both compromise our current objective and establish us as a true threat to the other Pokemon." Right now they were simply a concern, and with luck they would keep it that way. Regardless, nothing had changed. While they would not be able to remove any watchers they would simply remain hidden and continue on as planned. However, as the group started moving once more Uxie questioned their numbers. Three should have been the upper limit, R'hia's Pokemon not withstanding, and while he did not leave tracks they were over the body count. With so many they would be easier to detect. "Indeed. 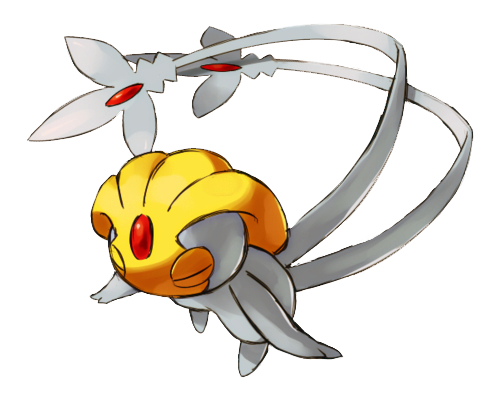 Taking hostages would both compromise our current objective and establish us as a true threat to the other Pokemon." A grin spread across Seek's face, and a laugh rolled in her belly. They were a true threat, the others should know that...! But she swallowed it back, and forced her smile to fade to nothing more than a curt nod. "Exactly." Now was not the time, as infuriating as that was. Squaring her shoulders and walking as proper as possibly while being sneaky the Aiveon continued on without a hint of her smothered pride. When they got back, she thought, she could boast about how she got the medicine. She just had to hold her tongue until then. The thought alone made her paws light and tingly, and as she glanced around for dangers she felt even more giddy as she saw nothing. Eleroo quickened his pace, nearly bounding forward to make it to her side. His eyes were wide with worry, brow furrowed in an ever pensive expression. Seek frowned. What was he so hung up over? "That's good," he puffed out as though he had been holding his breath. "I dont want anyone else to get hurt." knotting up her own brow Seek kept her gaze on him while her head was pointed forward. You better mean us and not them, you big worry wort. Besides, Felix was sick, not hurt. Regardless, she kept her pace as even as possible. The trees obscured their shapes and colors, surely, but every twig snap and branch creak sent her fur on end. "A-are.. are you sure the Center was this way?" Eleroo asked, his voice hushed and quivering as he stared out at the abandoned city. With a sudden halt the Aiveon raised a paw, ready to cuff the other eeveelution, but let it fall slowly and bitterly back to the ground. "Sure enough. Do I need to fly up through the trees and check for you to relax?" The male frowned, sinking his head below his shoulders and he continued walking with a sullen expression. Seek's own face remained hard. Was that too much? shaking her wings free of any drops of water the flying type continued with her feet firmly on the ground and no intentions of a treetop adventure. Eleroo huffed, his breathing becoming uneven and strained. It wasn't the usual strain of his body at work, no, but an overwhelming sense of dread. His red eyes were wide. What if something was hiding in these trees, or on the backside of the buildings waiting for exactly this sort of thing? His stomach knotted up. What if they were expecting them to raid their supplies after that little run in?! His teeth clenched tightly, eyes bugging out at the thought of an ambush on their small, quiet party. If we get attacked, Felix won- "Ugghf!" The Radeon smacked right into Seek's haunch and fell back in a damp heap of moss. "Ssh," Seek silenced him with a harsh but quiet sound. She had stopped dead in her tracks, and when her eyes locked on the orange shape she dropped low to the ground. "It's the Floatzel." She gasped, barely able to see the tufts of torn fur on it's back from the distance. It was carrying something over its shoulder, a black bag of sorts, but there was no way to tell what was in it from here. Unless we draw attention to ourselves theres no way it should see us. The things kept walking with its head down, completely unaware it was being watched, until it became obscured by buildings. Seek held her breath, still unsure if it would notice them, when Eleroo blurted, "D-do you think it was going t-to the Center with that stuff..?" Shenron nodded still contemplating. "Yes, Pastoria may not be the largest city but its big enough to hide many things. The Marsh seems like the best bet. If those living are so determined to protect their town they wouldn't venture far into the Marsh" Of course that was just a guess on Shenron's part. While Charizard and Aggron do patrol the entirety of their territory with extreme prejudice, a Floatzel would only claim a small area for Buizel pups and the temporary romp. But that Floatzel sounded defensive and upset they were here. The Marsh was too much unfamiliar territory for it. The mud holes. The undead. There was too much uncertainty. "We know some of the terrain. If we get far enough back then they'll retreat. Once they do, we can return to the station. Its unlikely they'd destroy a valuable retreating point. If not I recall there being a grotto just beyond the Marsh's reach" Of course if memory served it was also a dangerous place to be even for a skilled trainer's Pokemon like himself and Asura. But the risk may be necessary. Felix was lying there unconscious with no clue who was with him still. Yet everything that he had dreamt of while unconscious was all memories of his trainer and friend. Even in his dreams he misses his home and hopes one day that this mess would end. Though like Uxie said that repairing and recovery would take a long time to do. One other thing is that would he be able to see his trainer again. It was a thought that always haunted his mind. Being petted by his trainer while sleeping close to a fireplace during a cold winter day; playing in a pool with his trainer's nephews and nieces. He had never forgotten that. "grotto....Marsh's reach" Grotto? Marsh's reach? Wait that sounded like Shenron, but what is he doing in his dream? After struggling to wake up from his dream he finally opened his eyes, but very weakly. It wasn't home or Kalos at all. Coughs escape his mouth as he takes deep breaths while waking up. Where was Seek, Eleroo, R'hia, and Uxie? Did they move to another place while he was unconscious? So many questions was going through his head. However getting up was tough enough as it was as he felt weak from his illness. Felix looked around seeing both Asura and Shenron talking with each other. The sound of rain continued to hit the windows and wood structure. "What happened? Did I *cough* fall asleep?" He asks both the Charizard and the Machamp. Just even trying to move hurt when he tried to get up. Felix was definitely in no condition to move on his own currently. Sometimes unsure if it was safe for the others being able to carry him to get him to a more comfortable place. One thing did go through his mind. The uncomfortable feeling of a hard wooden floor. "Can *cough* one of you *cough* get me something comfortable?" It would be a nice feeling if there was a room that was hidden with a fireplace. However with the place only being a motel or something along the line, there was little to no chance that there would be one. A crack of thunder was heard. Now the only thing he could do is wait till the others return, but Felix felt like he could lose consciousness again. OoC)) Felix is still unable to do much. Feel free to lift him up enough to slip something comfortable under him. "That's good, I don't want anyone else to get hurt." A noble thought, especially given their situation. While avoiding conflict would be beneficial for their quest he was saying this after they had been attacked and without the addition of revenge. For a child bound to know little of the world outside this plague his desire for peace was most honorable. However, that did not make the kit as confident as his kin. He questioned their direction, and by extension their lead, while fretting at every sound that came from his own paws. "It would be better if I flew." The legend both explained and offered. He was smaller, more agile, and had centuries more experience to aid him through the branches, but the proposal went unanswered as Seek continued on without another word. When they stopped next, it was Uxie who first noticed the other being. The Floatzel was far away, too far to notice them without provocation, and clearly occupied with some task. "It's the Floatzel." Seek explained, and Uxie acknowledged the strength of her eyesight. A useful trait for a flying type. "D-do you think it was going t-to the Center with that stuff..?" Eleroo then asked, an excessive amount of worry creeping into his words. "It was moving in the same direction we are, so the chances are high." Regardless of how many buildings the group occupied the Center was bound to be the most important in this portion of the city. "Whatever it was moving, we should be wary of it. It could easily be preparing a trap to keep their supplies safe from us." Eleroo didn't dare breathe, his wide ruby eyes were locked on the skulking orange shape of the Floatzel until it finally disappeared from his line of sight. Had he imagined it? No, Seek had seen it too, before him even, and despite the distance it was undeniably the same Floatzel. Beside him Seek was staring intently at the spot, her body stiff as though ready to pounce, and on a forced inhale she whispered, "...I don't know." Tearing his eyes away from the now empty town Eleroo swore he saw doubt in her blue gaze. But why? She's always so confident. Of all the things to be hesitant about this matter seemed so small. "It was moving in the same direction we are, so the chances are high. Whatever it was moving, we should be wary of it. It could easily be preparing a trap to keep their supplies safe from us." Knots buried their way into his stomach as Eleroo looked at the Legend. A trap? He hadn't thought of that. Defenses were one thing, but to go out of its way to set traps for them? I'm not prepared to fight.. Luckily, Seek seemed to have recovered herself as she raised her held to stand tall. Her breath came out as a small scoff before she managed to speak with added and more characteristic snark. "So we have to be more careful then? Looking out of guards, traps, and a guy who may be specifically looking for us? Wonderful. I can't wait." While it wasn't the comforting response he was looking for Eleroo did feel himself ease up at knowing what they 'could' be walking into. Cold water filtering through the trees splashed fiercely on the lingering party as through telling them to get a move on. 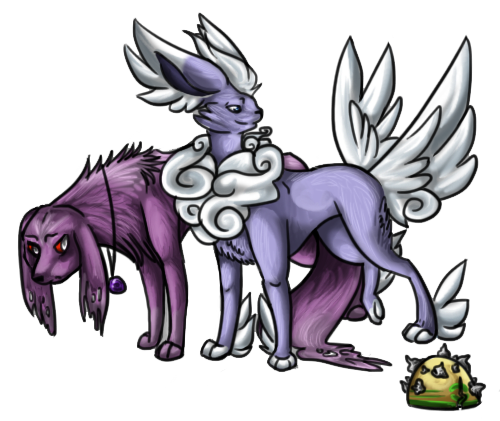 Both eeveelutions shook out their pelts within the same moment, as though an unspoken 'now' had passed between them. They puffed up against the chill, the look of sodden fur slowly overtaking the dry portions of their pelts as they waned in the fight against the endless moisture. "Right," Seek breathed, "let's go see what they have planned for us." Her steps were light, barely sinking let alone touching the ground as she trotted forward through the treeline. Between the trunks she watched as they passed building by building, houses and stores that served little interest as they curved their way around the town. Every now and then the Aiveon would catch a glimpse of a faded red roof and know they were heading in the right direction, but never did it feel close enough to sprint to. She sighed, huffing as she slowed her pace to a walk and tried to catch her breath. "Not too much further," she wheezed, expertly hiding the shame of being winded. Eleroo however, couldn't. His head hung low, tongue lolling as he struggled to keep each inhale and exhale quiet. He needs to stop. There was no denying it; it happened again and again, but he had gone much further than normal this time. Be proud of yourself, El. They really couldn't stop, but she could see the male's head swinging with each step. Without one he would end up crashing into a tree. Stopping suddenly the Aiveon stood rigid so that the Radeon crashed straight into her, halted by the sudden but soft form in front of them. He stumbled, looking curiously up at her as though expecting something, but he couldn't even see her face clearly. "Let's stop, for a sec.." Her own words were labored, though not nearly as much as any the poison type could have attempted to muster. Not needing anyone to tell him twice Eleroo brought his legs close to his chest as he sat hobbled in the moss. They shook violently as he gasped for a decent lungful of air and Eleroo's chest heaved with each gasp. The seconds turned to minutes before any relief came. Seek sat lightly beside him, her thoughts distant as she listened nonchalantly for a smooth rhythm to come out of him. They had to move but not before she heard that specific pattern. Her ears tried desperately to focus on that sound but something kept pulling them away. It was a faint sound, more like a hum, and she could not pinpoint the direction. Without moving her head Seek swept her gaze around them while her ears swiveled. There was definitely something, but she could not tell what. The more she focused on it the harder it seemed to hear, and before she realized it she was too focused on the sound to even hear the Radeon's struggle. The minutes ticked by, slowly balancing the small male, but when Eleroo finally looked up with newly restored vision he was met with a harrowing sight. Seek's eyes were eerily wide, staring blankly into the distance while her tall, stiff ears twitched with an anxious flutter. "Seek?" He squeaked, unable to hear or see whatever had her so on edge. Her lips moved, mouthing a single word as she jumped to her paws, but any vocalization was swallowed by a sudden, soggy groan that sounded around them. A rushing sound like spitting water through pursed lips rumbled in Eleroo's ears while the groan tried to overpower it. Off in to the forest he could see what looked like a fuzzy brown rise in the ground. A fuzzy, no, blurry, thing moving across the ground. He squinted, unsure why the thing seemed to be getting bigger until he realized it wasn't a thing. It was the ground itself. The wall of mud was approaching rapidly, sliding down from hills within the trees as it swept up anything in its path. "Se-- See-" He gaped, taking a couple of panicked steps back as the groaning, sucking sound grew louder and the mudslide rapidly got closer. Suddenly, several of the trees surrounding them gave the same groan before tilting and starting to fall. "Move, move!" Seek repeated, this time getting the words out as she forcefully shoved the Radeon toward the city. The wall of mud gurgled as it raced toward them, unhindered by trees, shrubs, and galloping paws as the eeveelutions were swept up in it. Shenron mused over it some more. In all reality there was anywhere he could go due to flight but he was a dragon of honor. There was none in abandoning his comrades. He heard Felix's request and nodded. "Of course. Asura if you may" Shenron heaved himself up and stretched popping his shoulders and back giving his toes a little wiggle stretch too. He remembered warming blankets earlier at Seek's request. As he held the blanket in his hands, he unfolded and folded it letting his heat seep into it. As he had done for his own hatchlings, it gave familiar warmth and scent of a comforting paternal figure being nearby even when they weren't. Shenron looked out the window even though he knew there was no way the others were back. Didn't hurt to check. Shenron turned back to Asura and Felix and held out the blanket. "Mind lifting him for me?" Soft grunts and hums are offered as Shenron brings up another alternative. If nothing else, they have options should they need a plan... C? "What happened?" The two larger pokemon's attention is drawn to the now awoken Felix, stirring weakly where he lay. Upon request, Shenron goes and retrieves one of the blankets left behind by the others, and in turn the Machamp rises and approaches Felix. "Apologies if we woke you." He kneels down, using all of his arms to cradle the ailing ally without shifting his position too much as he lifts. He notices Shenron once again heating the blanket, as before with the others. Kindness, even in these times. He lets out a soft huff, able to appreciate that the small things are still tended to in such an environment. R'hia trailed at the rear of the group once they began to move again, pausing now and then when a tree was between her and the town. Nobody seemed to be trailing them, though she knew how easy it can be to cover one's trail in this kind of weather; both as the stalker and the prey. The Floatzel wasn't too much of a problem before, but even with her team there was a fair bit more cause for concern. The only grass type could very well not be strong enough even with a type advantage, for all she knew. She's wound up in her own thoughts and contemplations as they follow the treeline. Dragging her feet out of the mud every few steps, trying to keep up, she hadn't realized just how much labor it was until she caught herself huffing with each breath as they came to a pause. Hell, she hadn't noticed that even Eleroo was pretty rough in his breaths. As they take the moment to gather themselves, props herself against the tree, collecting herself as much as Eleroo seemed to be trying to. She kept glancing from where they'd walked, looking into the trees' branches for any movement. Her concern with what was behind them shifted as she heard the Radeon's inquisitive words, hardly audible with the rain. She turns to notice after the others have already collected what was coming, and secures her pack to her body once more, mumbling curses under her breath as they all turn to flee. Her eyes dart over the nearest parts of the town, trying to take note of if there was anywhere that could be used for cover. Yet nature was faster than humans could pace, and the need shifted from cover to being able to grab onto something as she was the first to be overtaken. The way the mud washed over itself was like a brown steamroller, sucking her downwards into the brown tide forcing them onwards. The fight to flee became one to stay above the flow- even if it was shallow, she was constantly fighting to keep herself from falling face first. They were being swept into the town swiftly, with R'hia getting scraped into the side of a building before being diverted into the alley beside it. Her arm burned as it reached to grab hold of anything to keep steady- and an old dumpster did the trick. It wasn't staying still, but if nothing else she was able to keep herself from falling as she wiped mud from her eyes, vision blurred as her eyes sought the others. OoC)) Skipping this round. He doesn't have much to say currently and I just can't think of anything right now. It was subtle, an almost undetectable sound. With his honed mind Uxie could hear nature itself wail beneath the strain. Something was coming and they would be unwise not to be prepared, but before a warning could even form the eeveelutions broke the groups silence. Eleroo squeaked, his hoarse voice almost steady once more after their rest, but it would not remain that way for long. "Move, move!" Seek barked as the mudslide became perceptible to all and a flurry of movement swept through them. Uxie may have had the perception needed to notice the coming natural disaster but that did not translate to his ability in evading it. Teleporting from dangers had long since become his first instinct, but to do so now would both be abandonment and careless. He did not know the range in which the mudslide covered, and moving too far could possibly reveal him to the other Pokemon once more or right into its oncoming path. Floating after the others the Legend made a careless mistake; his tails drooped just low enough for the rushing ground to grab them. In a swift yank the pixie was dragged downward, and though he fought to keep the rest of his body elevated about the mud he was at risk for being brought under. Branches and shrubs torn up and ahead of them brushed past his soft grey body, nicking and battering the small Pokemon as his mind screamed to teleport. Psychic energy coated his form and his jeweled glowed, but before he let the power go through Uxie could see the alleyway ahead. The mud slowed very slightly as it chugged and funneled its way into the narrow pass. Letting the energy strengthen himself the legend flew and pulled until his tails were released from their hold with an audible pop. Bolting upward but below the roof-line Uxie grabbed what he could in the alley beneath his psychic energy. "Grab onto something." He instructed the others, feeling the force of the mud against his mental grasp. No no no bad bad bad bad! Eleroo's mind was screaming so loud it drowned the squealing chirps he let out as he skittered through the trees. But even his thoughts weren't loud enough to face the low, rumbling moan of the sloshing, sliding mud. He didn't want to look back, to see that horror, but for some reason he did. His field of vision was filled with brown rolling mud, like a moving carpet going much, much too fast. Turning his head forward the Radeon realized his second mistake much too late. With a loud yelp Eleroo crashed into a shrub that immediately dug into his fur. Its sticky leaves and burrs bore into his short pelt as small twigs dug at his cheeks. Pulling and twisting like the trapped animal he was the poison type could not free himself from the bush before the mud made it up to him. He squealed for help, and could vaguely see the white parts of Seek's fur before he felt himself move. Freezing mud rushed past his paws and pulled up the entire shrub as it dragged him along. "You doof!" Seek panted, and through she was fluttering above the shrub the tight quarters and moving target did not allow for her to stay airborne. She yanked, getting a little of the plant off the male before getting dragged into the mud herself. Panic raced through Seek's mind. She couldn't move, heck she could hardly breathe in the slide let alone kick and keep herself above its surface. Branches moving past scoured slashes down her flanks and she yelped in pain. Her paws kept getting caught on things she could not see below her, and a branch fell from above and caught between her ear and helmet. What was wrong with nature?! With her thoughts racing Seek couldnt even get a word out. Don't drown. Fight it. Don't scream. Don't die. Don't die. DONT DIE. Suddenly, her blue eyes widened at the rapidly approaching city. It was tossing them right into the city?! Oh gods oh gods. They would be visible. No, worse, they would be crushed against the buildings. Struggling desperately the Flying type tried to free herself but her lithe body didnt have the strength to fight the heavy slosh. When the current started to change both eeveelutions whimpered though the sounds were eaten by everything else. Eleroo could hardly see; the bush was finally gone but leaves and mud had caked themselves across his eyes and face. His body was thrown about, rammed against hard thing after thing within a small space while the current still pulled him. Enough of his vision was clear to see the sides of the buildings and know he was between a pair of them, but everything else was a blur. "Grab onto something." He heard Uxie's voice so clearly it was like it was coming right to his own mind. Scrabbling with his paws the Radeon tried to grab a hold of anything that seemed firm, and while his pads grabbed at the top of the dumpster he could not move the rest of his frame. Mud pressed against him, squeezing the air form his lungs as he struggled to even slightly pull himself up. He couldn't see, and his paws were useful to grab the container as he whimpered. "I c-cant!" On the other side of the alley Seek had managed to clamber onto a small trashcan and was balancing delicately on her small paws. Mud was caked against her pelt and weighted it awkwardly but she refused to fall into the faux river against. "R'hia, grab him!" She hissed between her teeth, clearly stressed as the words came out as a demand. The lid of her can shifted and the Aiveon froze, fearful of a fall. She wouldn't be able to get to him. Shenron folded the blanket tucking it carefully where Felix had been laying. "There we go... It'll maintain warmth easier this way" He looked over his shoulder thinking he heard something but dismissed it. Once that was done, he returned to his stash of sugary sweets taken from the vending machine and ate something to help fuel his fire. As long as it burned then he felt safe and secure and able to protect if he needed to. "Asura? I believe there is more food in the machine if you desire some yourself. There may be bottles of water left over as well" Seek would probably disprove of him sharing this as she had said to not eat in front of them but his chivalry and kindness would not allow him to honor such a request. If his comrade needed food or water, Shenron would not deny him it. Living things did revenge and such. The dead did not. Shenron would never treat anyone unkindly. It was not how he was raised and was not how he raised his children. No, really? Her first reaction was spiteful to a degree, feeling her body ache from the rough and tumble of the mudslide slinging her around. She held the can as she flung mud from her hand, one more wipe and she was able to see with reasonable clarity around her. She didn't see Uxie- though she didn't exactly look up at all. His voice ringing in her mind gave her the go ahead to focus on the others. She watches the white blur in her vision grow crisp and clean, watching Seek climb to a safe spot, for the time being at least. Pulling herself up to a better position, standing taller as her eyes race around, searching for purple amongst the sodden brown. She hears him before she sees him; Calls of desperation ringing just behind her as he desperately tries to get onto the top. She's lunging out towards him before she can even think about it, grabbing onto the lock bar of the dumpster- hand sliding down it, sliced open by a small piece of jutting metal. "Goddamnit...! ", Her curse is hushed as she winces, but reaches her arm out and pulls the Radeon to her side, arm wrapped around his torso. She tries to heft him up onto the top of the plastic dumpster lid, though she can't get him up fully! "I gotcha...!" Even as she spoke, she felt herself being pulled, trying desperately to hang onto the bar. Asura lays Felix down in just the same position, trying to be delicate with him. Shenron's venture to a snack leaves him standing over the small form of the Eeveelution, looking over him. This had all better work out; to fight for so long, to have come this far in such a shattered world... "Remain strong, friend. To stop here, would not befit you." He returned to the wall, propping himself into a seated position once more. Shenron's suggestion of eating upon his return is enticing, but... "I'd rather not. You are free to eat yourself, though, I do not mind. So long as there is some for the others, for when they return." He lets out a low sigh, relaxing into his seat some. Felix felt himself being picked up slightly before being placed back down on a blanket. It was sad; being unable to do anything to help himself against an illness that makes him exhausted and other things. The Sylveon hated it. He hated it so much that he gave up fighting for a more peaceful life as a psychologist's pokemon assistant. However, with what was going on now; it made counseling a must as well as fighting. Yet, if he lost his ability to fight, then what good is he to the others. I swear once I recover, I'll only fight if I need to, but these guys need me to provide my knowledge. Seemingly he wanted to give both Eleroo and Seek a better life than this. As long as their together though is all that mattered. True Seek can be a real pain, but the way Felix sees it, she's just going through a phase in her life. "Remain strong, friend. To stop here, would not befit you." He was right though, to stop here would mean to give up on hope and lose all will to even fight. The blanket's warmth had provided much comfort as the fairy type relaxed though coughs continued to escape his mouth. Soon his ears perked up as he heard noises like if someone was singing while walking. Who could that be? It sounds like an old man, but it sounds like something you'd hear in the swamplands of other regions. Well almost minus the banjos and others making different noises. He did catch one word though Bayou. Then he seen the door started to shake a bit. Someone was there and it wasn't human. "Guys, I *cough* think someone's there." Right now though with the Floatzels not being on the friendly side of things in this area it was hard to see if whoever it was was either friendly or hostile. With his condition right now though it would be hard if not impossible to do battle without him being caught in the crossfire. "We need *cough* to know what it *cough* is. Hostile, friendly." Felix was cautious and he didn't know if it was something they'd have to escape. OoC)) short post, just can't think of much to put here. The mud flowed like a mighty river but as it was funneled into the alleyway it grew disgruntled. Plants, branches, stones, and vines clogged its way as they were caught on the barrier objects the humans had left behind, but though their force strengthened Uxie did not yield. He was a legend, a god, yet the force of nature was never a beast to be trifled with. Even with eyes closed he was not blind to the rising masses of debris that were emerging from the silt. Even if his grip remained there were no promises that this material would not slip free. As instructed the others made their way to safety, though one struggled significantly. "I c-cant!" Eleroo whined, panic clear in his shrill voice as the mud threatened to drag him away. Had he been given a moment the legend would have assisted the kit, but R'hia was swift to draw the child near and bring all beings out of immediate danger. Each looked particularly precarious and the weight of the situation was only growing, and with a small bit of additional effort Uxie made sure the pair would not lose grip. "Remain steadfast." He spoke, his voice ever calm as he assured the others. "The mudslides here are numerous but fleeting." Suddenly, the weight of his body seemed to lighten. Reaching up past R'hia's shoulders the kit was able to press his pads into the top of the dumpster and lift himself unlike before. With the secure grasp around him and this newfound strength Eleroo scrabbled to safety and immedately flattened out as a hobble mess. He turned, making sure the human who had risked herself had made it as well before offering a feeble, "T-thank you.." From this new vantage and safety point the poison type was finally able to see the extend of the mud as it flowed into the city. Words hung on his tongue, but he didn't dare speak them as he watched the brown wave continue on undaunted. Digging her pads into the unsteady can lid Seek was grateful for the gritty parts of the mud that dotted her pads. It oddly provided some grip, but between the rain and slip portions of the mud it was very, very little. With balance secured she wanted nothing more than to shake out her pelt and remove this disgusting nuisance but even the thought of shifting about made her feel uneasy. With a deep breath she pushed aside her woes for a moment to climb higher. Another trash can and a dumpster lined her side of the alley, but the big one was in much worse shape and only offered a step up to the low stoop of a fire escape. Curling her claws around the metal grates Seek finally felt safe enough to shake out her pelt, but no matter how hard she thrust her fur around the brown splotches still stained her pale fur. "Remain steadfast. The mudslides here are numerous but fleeting." Uxie's voice breached her mind, and turning her attention back to the terrible new floor the Aiveon watched for any sign of it slowing. But it wasn't that that worried her. The trash cans below and even the bottom step of the fire escape were littered with her own muddy pawprints. So much for being sneaky. What were they going to do now? The more she thought the worse it became. They would leave tracks, and a clear trail inside the building and out. Even getting out of this place would be a nightmare of a crime scene. "Dang it!" She yowled, the closest to a curse she could get and not caring how loud she would be. What were they supposed to do now?! "We're screwed," she hissed, turning in circles on the escape. "We can't even get back now without them knowing we were out." Then what? When the other Pokemon saw they would get suspicious, they would attack-- "What are we supposed to do?!" Eleroo was able to get himself up with a level of ease she'd not expected; she too felt as though she wasn't quite as heavily bogged down suddenly. She made sure he was up before hoisting herself with a messy thud onto the top of the dumpster. "T-thank you.." Eleroo let out a soft appreciation, and she turned to him with as much of a warm smile as she could muster considering the situation. You're welcome! "[/color] It was said through a strained smile, but carried enough honesty with it. Just as quickly, she turned back to her own thoughts, wincing. The first task on her mind is wiping her hand off- it wasn't layered in mud, but there was enough that the burning would was made obvious. She looks down at herself- hardly any clean cloth to work with. With a frustrated groan, she presses the heel of her palm against her shoulder, and scrapes the majority of the mud and blood away, revealing an unpleasantly deep wound stretching most of her hand. She takes her pack off, shaking it a bit to remove mud as she hooks it to her arm and opens up; thank god she'd thought to keep it covered when they left. She rummages about- bandages, though she had a clearly limited supply. She scoots further up the dumpster to secure her place as she does some work, wiping the cut with the bandage before placing the now dirtied portion on the top of her hand, the anchor point for her wrapping. She sits back and watches the flow, thinking of their best path of action. Uxie was right about one thing, this won't last long. Their cries may have been somewhat muffled by the rumbling earth, but who knows how close any of the opposition was, that they may hear them? Her thoughts absorbed her until Seek seemed to find her own frustration to much to keep quiet. "What are we supposed to do?!" Asura was none the wiser to the apparently approaching entity until it was already upon the building. He stood, his voice hushed. "Bury your face into the blanket, cough as quietly as you can..." Friend or foe, he was in no way eager to find out. He'd be fine with fighting if Felix were well enough, but their split priorities here complicated the situation far too much for a direct approach. Shenron's pacing was only adding to the tension, and Asura's teetering on the edge of an adrenaline rush... "Stay. Still." At this point, he'd prefer to just let whatever it is come and go- the less noise it had to investigate, the better. He stood at the ready, even if not wanting to go out.